The Guardian has brought its typical idiosyncratic approach to social bookmarking with the launch of ‘Clippings’. But for once I think they’ve missed the mark. By clicking on the scissors icon ( ) next to a story users can now ‘clip’ an article to their own account. They could do this before anyway – but importantly, the revamped service means they can see others’ saved stories and subscribe to a feed, or publish their own feed elsewhere. These are welcome additions to an older service, but there are some glaring oversights. Firstly, although the phrase ‘social bookmarking’ is not used, this is clearly an attempt at that, and it isn’t social. There is no way to discover other bookmarkers apart from, as Inside Guardian suggests, ‘guessing’ their name. Equally, new articles are not suggested as a result of what you bookmark – although you can click on Guardian-defined categories to see the latest stories about ‘ITV’, for instance. To add insult to injury if you want to import your old ‘saved stories’… you can’t. You have to visit every one, and clip it all over again. Nice. Here we have a centralised service which requires you to be logged in and is generally controlled and defined by the publisher. Why would I use it when I can’t use my own categories? When it doesn’t help me discover new things, or organise old ones in new ways? When I can only bookmark Guardian stories? Firstly, allow tagging and user categorisation. Make them into links so you can see what else is being tagged with the same. Allow people to discover each other through shared interests. Secondly, create a widget/bookmark so people can clip material from – shock, horror – other sites. But most important – and easy – is this: The fact that I can see Guardian Unlimited Editor-in-chief Emily Bell’s clippings is a massive draw (sadly, no clippings yet for Jemima Kiss). But do they make this visible on Emily Bell’s articles? No. Not even her profile includes a link. Every Emily Bell story should include a link to ‘Emily Bell’s clippings’, it’s as simple as that. If I respect her work as a journalist, there’s a chance I’ll want to be reading what she reads. And that’s where The Guardian – and news organisations generally – have an advantage: the editorial angle; the brand; the relationship. And what a great way to keep readers on your site. 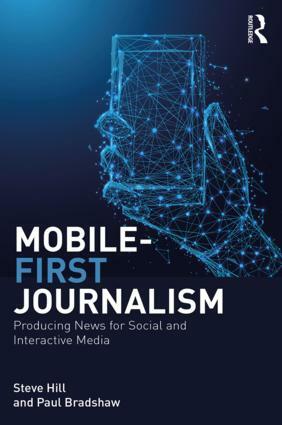 More broadly, I’ve posted previously about the concept of letting readers see ‘What the journalist read to write this’ as part of the model for a 21st century newsroom. And Radio 4’s iPM del.ico.us account is a great example of this in practice. So I won’t repeat myself on that. Having said all that, I’m guessing this is actually a stepping stone to The Guardian’s planned social networking service, where user profiles will link to their clippings pages and, I hope, allow for more serendipity and linkage. In the meantime, however, here’s an opportunity to iron out those glaring problems first. 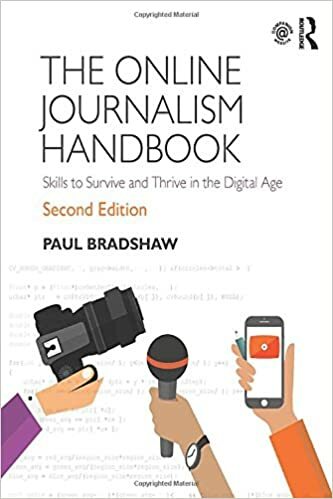 This entry was posted in newspapers and tagged 21st century newsroom, 5W+H, delicious, Emily Bell, Guardian, iPM, Jemima Kiss, Pluck, radio 4, RSS, social bookmarking, social networking, tagging on March 18, 2008 by Paul Bradshaw. Isn’t this nothing more than an internal facing scrapbook that the Guardian might be able to ‘leverage’ for some statistical wankery into how some people read the paper online? As it stands it’s far more useful to the Graun that it is to readers. Of course, most readers won’t even notice it. As you suggest it may be part of some bigger plan, but it’s pretty inconsequential as it stands. I can see how perhaps a few non-web savvy users who read the Guardian a lot might possibly find a use, but when you can add the same article just as easily to del.icio.us with all the varied and intelligent benefits of that social bookmarking system I don’t see the point of this one. Do I really want to have a clippings file on the separate websites of every newspaper I read? No, not really. As for your Emily Bell clippings follow features idea – not interesting enough. However, her deliicous feed might have value as then I could see what she reads elsewhere. But quite frankly I’m not interested in what she or any other Grdn journalist clips from their own newspaper in order to drive a trickle of traffic towards… or what? Do you seriously believe any Guardian journalist will have any practical use for this beyond some self promotion or similar? Any journalist worth his or her salt would be on delicious anyway and not wasting their time with this. I just came across this blog post, and I thought I would take the opportunity to add some background. Thanks for your feedback. You make some valid comments – The current clippings service is the most minimal version of the product – and you will see improvements and additions over time. We, like many others, think it is valuable to release software as soon as possible and get feedback, rather than wait until it is packed with features. People are already using the service as it is – (it’s been on the site for a while – we just blogged about it in March). More features are in the pipeline for clippings, and we hope you’ll approve when they go live. Thanks Stephen – I guessed that was the intention; consider this my contribution to that iterative process. I do think the Guardian’s approach – e.g. only relaunching the homepage, then some sections, etc. – is a web-savvy one, even if it confuses old media types who are used to comprehensive relaunches.